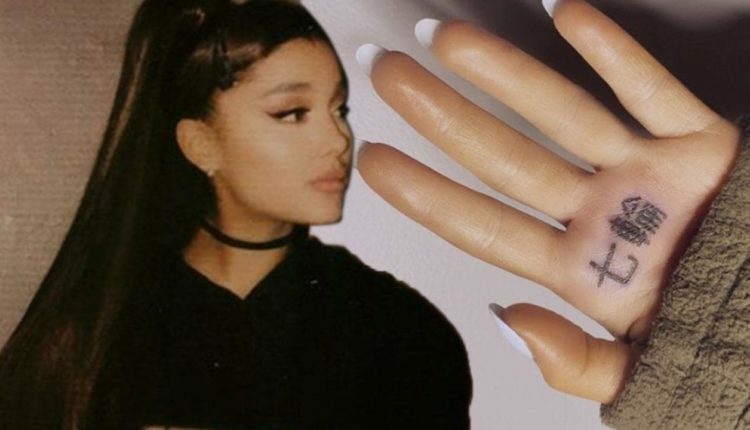 Ariana Grande’s new tattoo is a huge botch. The singer got a new palm tat in honor of her song “7 Rings.” but one fan was quick to point out one HUGE mistake: the Asian characters spelled out “Japanese style barbecue grill” and NOT “7 Rings”, as Grande meant to do. This isn’t the first time the singer has had to cover up a tattoo. When they were engaged, Ariana got a tattoo that said “Pete” for Pete Davidson. She initially covered the tattoo with a band aid, but later covered it with a more permanent solution: A heart tattoo. Pete had to cover his tattoos dedicated to Ari too. He got a “Dangerous Woman” tattoo in honor of Ariana’s album. He covered it with a heart. What do you think of Ariana Grande’s tattoo botch? Let us know in the comments or on Twitter at @WhatsTrending.